Neeragaram is used to be the most common morning drink in Tamil Nadu before Coffee. Neeragaram health benefits are numerous. Neeragaram is commonly known as Nisineer or Pulichathanni in Tamil. 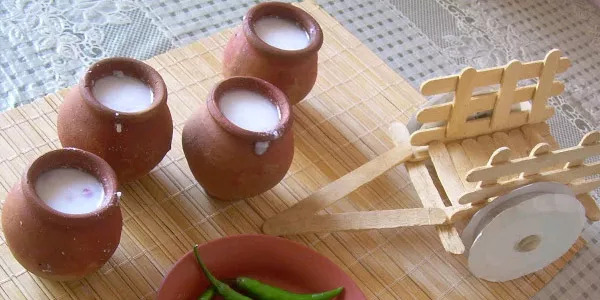 Rice or Kambu (Millet) will be soaked in water during the night and in the morning this will be taken as a morning drink by adding salt. Though the process looks simple there is a strong scientific reason behind this procedure. Starch will be covered by the cellulose of the cooked rice, so our body cannot get the 100% starch out of it. When it is soaked inside the water with our tropical temperature bacteria will multiply and start breaking the outer layer of rice which brings out the starch. By morning neeragaram will be starch rich. When you intake this Neeragaram in the morning it will have better health benefits than any other morning drink. As farming was the major occupation neeragaram was taken as the early morning drink to gain instant energy for the morning work. If it is not consume in the morning then the bacterias will consume all the starch and neeragaram will be of no use at later point of time. Neeragaram will be best if it was made with our traditional rice varieties like Kaikuthal Arisi, Samba Arisi, Kararisi, etc and cooking the rice in vessel instead of pressure cooker. Neeragaram or Nisineer is one among the main reason of our ancestors magic in retaining their health and keeping them productive even after 70's. With the introduction of Coffee Neeragaram slowly lost its place from our day today life. Though coffee is good at certain aspects it would be good to retain our traditional morning drink which can give numerous health benefits starting from kids to elderly people.